In the AMGA Single Pitch Instructor Course, this question comes up constantly. When should I have someone back up my new belayer? 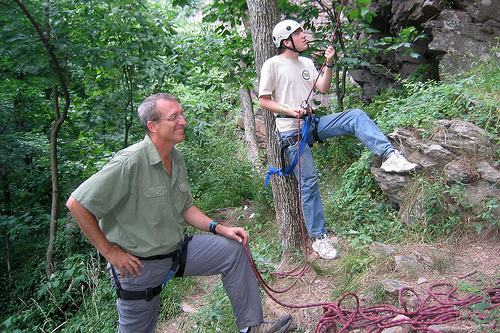 When can I let them belay without a backup? And how should I back them up? Bad Skiing Forecast? Good Climbing.